Before the story about The Boston Globe's Spotlight team revealing a sexual abuse scandal in the Catholic Church was depicted in the new movie Spotlight, the reporting was studied by the Knight Case Studies Initiative at Columbia Journalism School. David Mizner '92JRN analyzed the Globe's reporting in "Reporting an Explosive Truth: The Boston Globe and Sexual Abuse in the Catholic Church," in 2009. Mizner was supervised by Kirsten Lundberg, founder of Knight Case Studies Initiative, and Journalism Professor Ari Goldman '73JRN, P: '07CC was his faculty sponsor. The case study, which could be used in a class covering religion, investigative reporting, or editorial decision-making, is about "the calculus a news organization must make when it uncovers a story that incriminates the most powerful institution in its community." In the Globe's case, this was the Catholic church -- with Boston having the highest percentage of Catholics of any major U.S. city, Mizner writes. In his abstract, Mizner says the case study also describes "the personal toll on journalists of covering misdeeds in one's own church." "As the pieces came together, [The Boston Globe] had to decide how to play what was a literally unbelievable story, how to manage a potential backlash from the community, and how to deal with the anticipated reaction from the Archdiocese." The Columbia case study caught the eyes of film producers Nicole Rocklin and Blye Faust. The New York Times reported that Rocklin and Faust read the study and brought it to the attention of the film's co-writer and director Tom McCarthy. In a January 4 piece for Pacific Standard, Columbia's Dean for the Humanities Sharon Marcus wrote about how highlighting the journalists' work in Spotlight teaches us about putting more resources toward long-term research -- in and out of the newsroom. "Spotlight succeeds in making research as suspenseful as a detective tale in which the process of tracking down information becomes as engaging as the information itself," Marcus writes. "...at a moment when many demand quick results, glorify multitasking, and accept short attention spans and compressed news cycles as inevitable, it is heartening to see Spotlight celebrate the single-minded focus, deliberate pace, and long-term investment of resources that make good research possible." 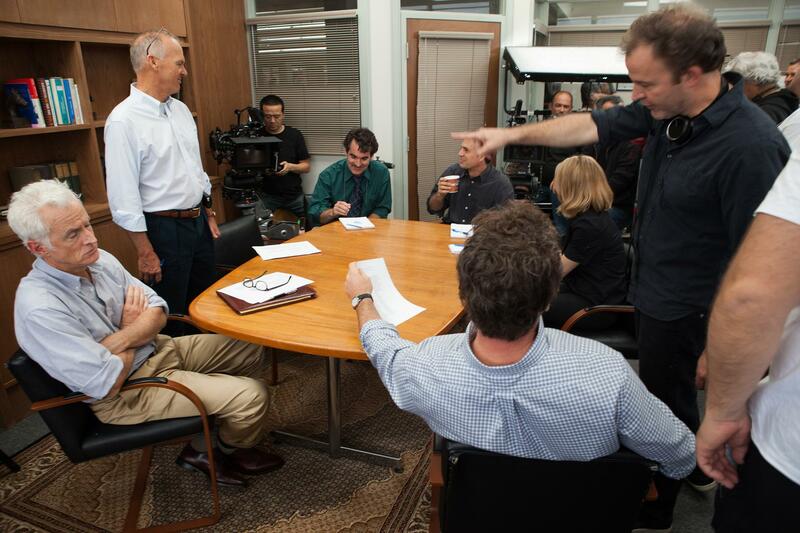 Click to read more from The Boston Globe about the making of Spotlight. Read more of Marcus' piece in Pacific Standard here.